There are many reasons why people want to hike and backpack: enjoying nature, staying healthy, aspiring photographer, or fun family event. Whatever your reason for getting outside, you need to be fit enough to accomplish your objective. If not, hiking will quickly turn into a military style ruck march where you are miserable, head down, and only worrying about one foot in front of the other. That is not how the outdoors was meant to be explored. What Type of Exercise is Hiking? Hiking and backpacking are primarily aerobic activities (think running and walking), but there are aspects of anaerobic activities as well (think sprinting or weight lifting). Hiking is an aerobic activity because it is pretty much just walking with a pack on over uneven terrain. The reason hiking is anaerobic is usually the need for leg power. You need that leg power to jump across a stream or step up a large rock. Taking it one-step further, hiking uses almost all of your muscles to a varying degree, but your lower body will have to work the hardest. Your lower body (quads, hamstrings, glutes, etc.) are the muscles that are going to keep you moving, provide bursts of power, support the weight of your pack, keep you stable, and absorb some impact. The next set of muscles helping you out is your core (abs and back muscles). This group of muscles is essential to keeping you up right, stopping you from tumbling over, and helping to support your pack. The final group and least used is your upper body (arms, chest, upper back, and shoulders). Your shoulders and upper back will be used the most out of this group by supporting some of the weight of your pack; however, upper body strength is important for things like lifting your pack and other skills required to hike and backpack. To start with, I will cover the best method for getting in hiking and backpacking shape, which is sport specific training. Sport specific training is performing the activity to get better at the activity. This would be putting on a weighted pack and walking over uneven terrain aka going on hikes. This can be difficult to do with a busy life, living in the city, or if you are just starting to train. However, I do recommend doing a short hike with a light pack during the weekend as part of your training plan. For the rest of us who only have a limited amount of time, if any time extra time, is to walk or run daily. Walking and running are similar to hiking and will increase your base aerobic fitness level, which will carry over to hiking. If you already running, then keep on running and add short hikes on the weekends. 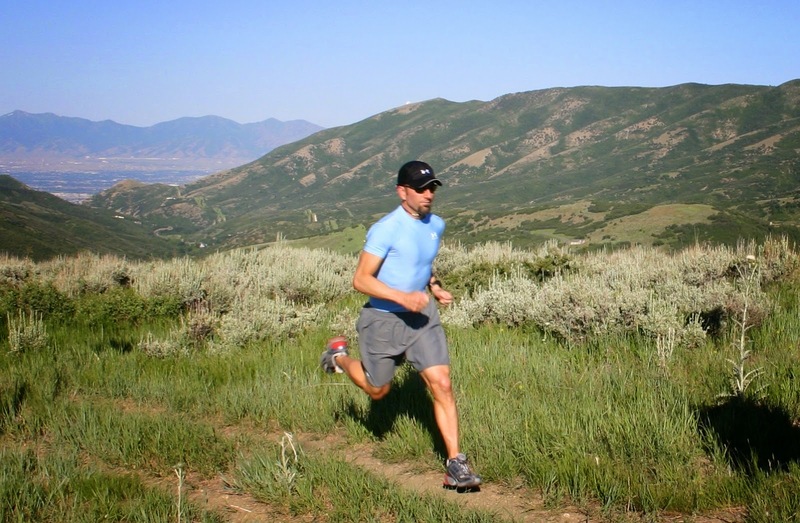 In addition, runners should slowly transition runs to trail running. This will focus on support and stabilizer muscles as you run over uneven terrain, which will be similar to hiking. If you are just starting out, start by walking and increasing your mileage slowly. When you feel healthy enough and capable, start adding a run to your workout routine and increasing the amount of runs gradually. Plus, you want to do short, easy hikes on your weekends as well. While working on your cardio is probably the most important, adding some core exercises and resistance training couldn’t hurt. For the lower body, try weighted lunges and weighted squats. These two exercises will increase the power of almost every muscle in your lower body. For the core, try planks, side planks, crunches, and scissor kicks. Finally, for upper body do tried and true push-ups and pull-ups. These exercises should be a nice start and mix to get you started and require only limited amount of equipment. Flexibility is a huge issue for hikers and backpackers and as most of us try to create a stable platform while hiking with little movement. This is because moving too far out of the normal range of motion with a pack on can cause injuries. In addition, stiff muscles after a long day’s hike are less fun than loose muscles. Moreover, flexible muscles are better able to handle jerks and weird movements without becoming injured. To increase flexibility it is important to get a good warm up and stretch before you start hiking. Also, you need a nice cool down and stretch at the end of the day when you are done hiking. It also wouldn’t be a bad idea to add a few stretches in on your hiking breaks. My final recommendation would be yoga; do yoga once a week at your house or sign up for a class. Either way it will be a huge benefit to your flexibility and overall comfort level out on the trails. While I am no expert and you should always check with your doctor before starting new physical activities, this article should get you started in the right direction as far as training. The key is, it’s not exactly what you do it’s that you are active and having fun. If you are active and enjoying yourself, it will all eventually come together to create great hiking trips. What are you doing to train for your upcoming hiking or backpacking trips? Also, if you like the blog, please follow us on Facebook.